And here are the images to go along with another post from this past winter, FO: Radiate. 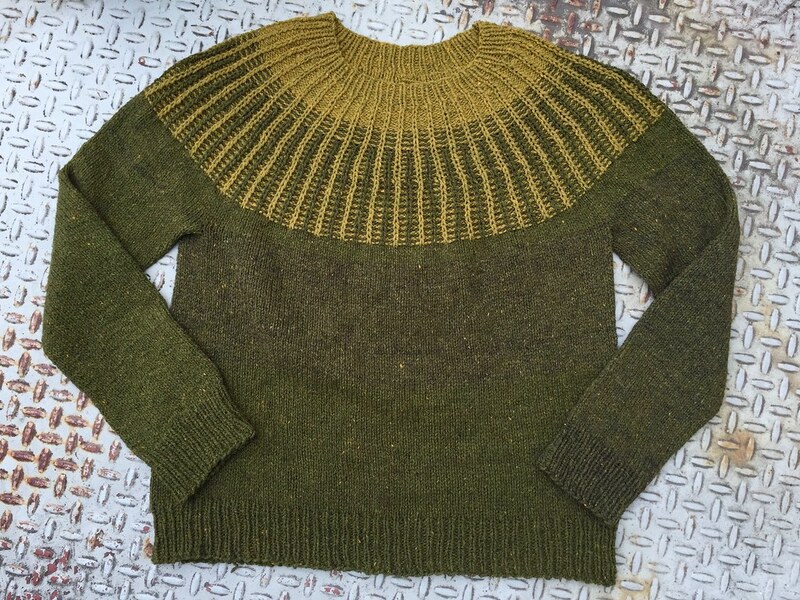 At the time, this was the first sweater I had knit with Green Mountain Spinnery’s Mewesic yarn, which I had purchased at 40% off when Heritage Woolery closed their doors. I’ve since knit two more sweaters in it — a pair of modified Carbeths — and I’ve got to say: I really like the finished fabric. Soft while keeping some of its rustic qualities. Responds well to aggressive blocking. Nice colors. Hopefully I’ll have those Carbeth images ready to post later this week.